Bradbury dreamed of a future where city-dwellers ditched their cars for high-speed monorails, but acknowledged that reality might look bleaker if we continue down our current path. 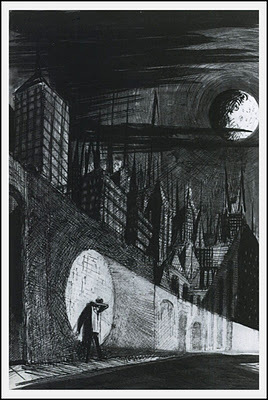 He describes a much darker vision his 1951 story The Pedestrian, about a city where one brave man dares to walk the sidewalks--and the consequences of engaging in such devious behavior. You can read more on Bradbury's thoughts on transportation here.